On a digital SLR camera, remove the lens, look through the viewfinder and adjust the diopter dial/lever until the focus/metering brackets appear sharp to your eyes. Diopter adjustment can also be done by looking carefully until the fine surface markings/granules of the focus screen appear sharp to your eye. 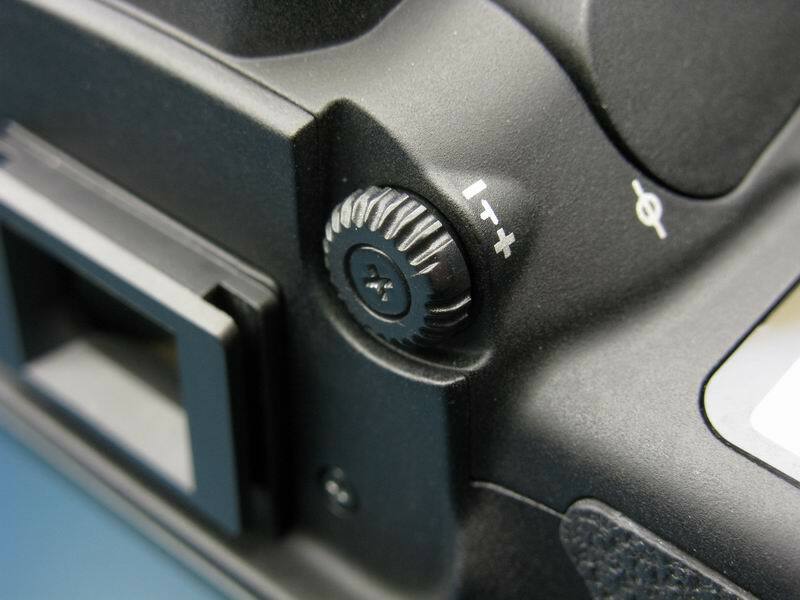 On a digital compact camera that has an optical viewfinder, look through the viewfinder and adjust the diopter dial/lever until the focus brackets appear sharp to your eye. On a digital compact camera that has an electronic (LCD) viewfinder, activate the camera menu display in the viewfinder. While the menu display is on, look through the viewfinder and adjust the diopter dial/lever until the words are sharp to your eye.